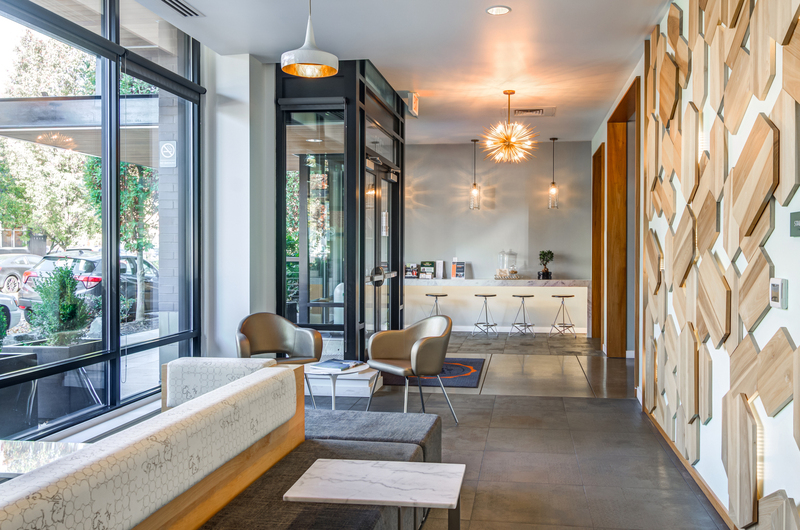 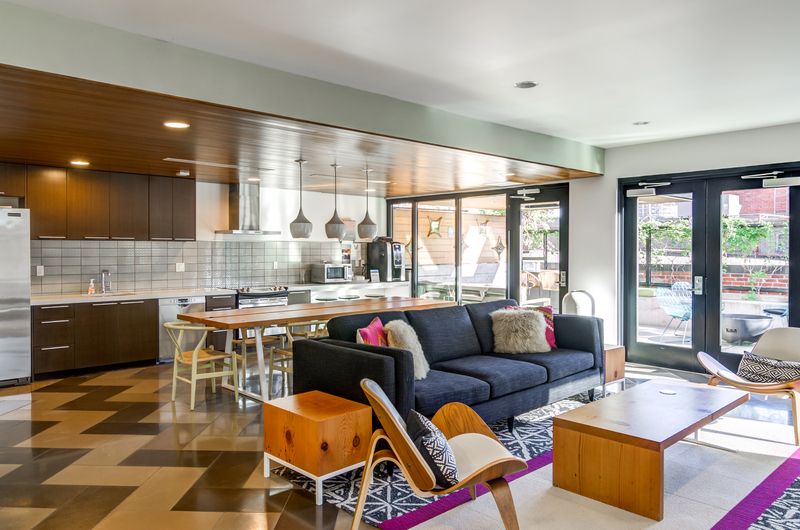 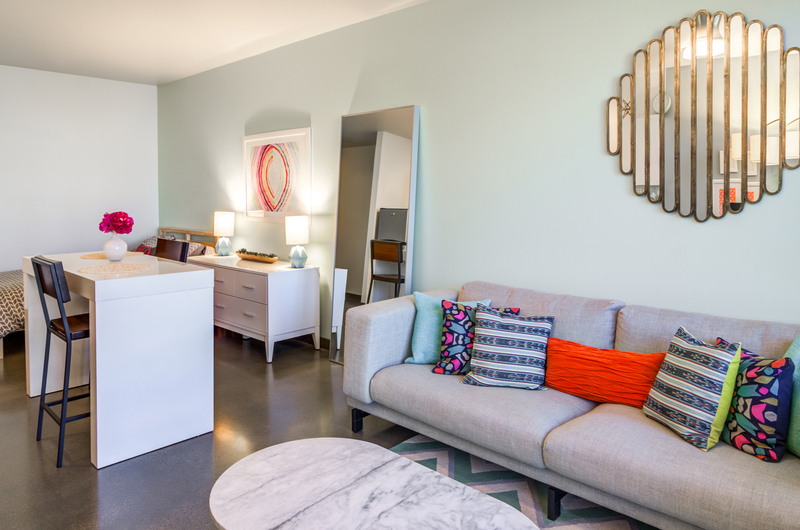 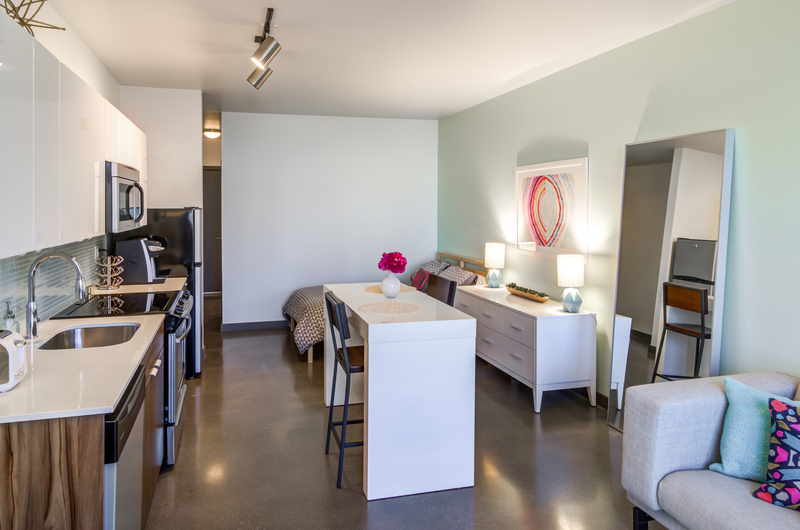 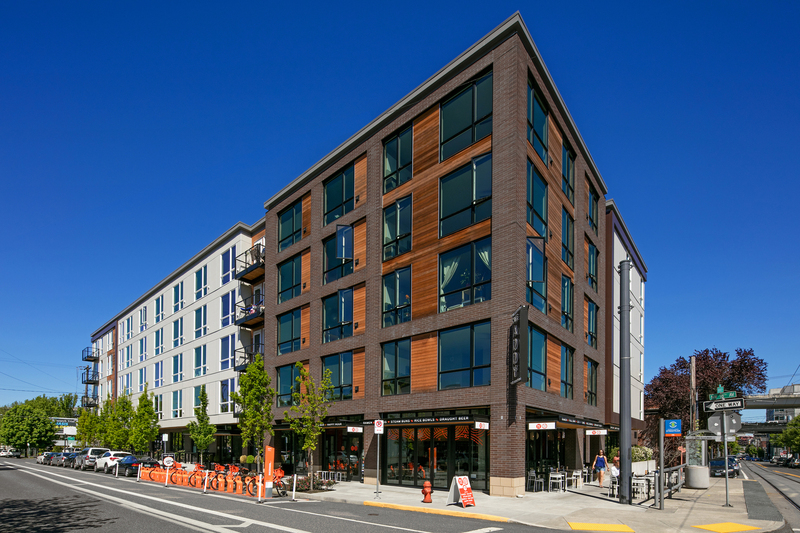 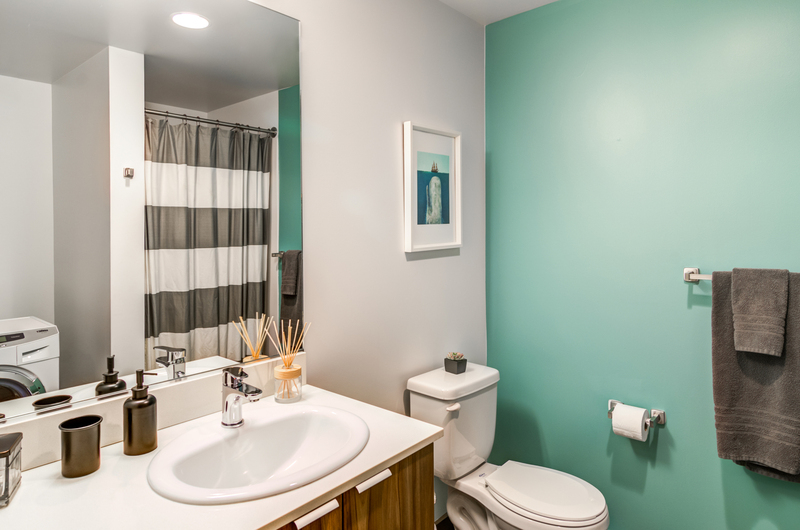 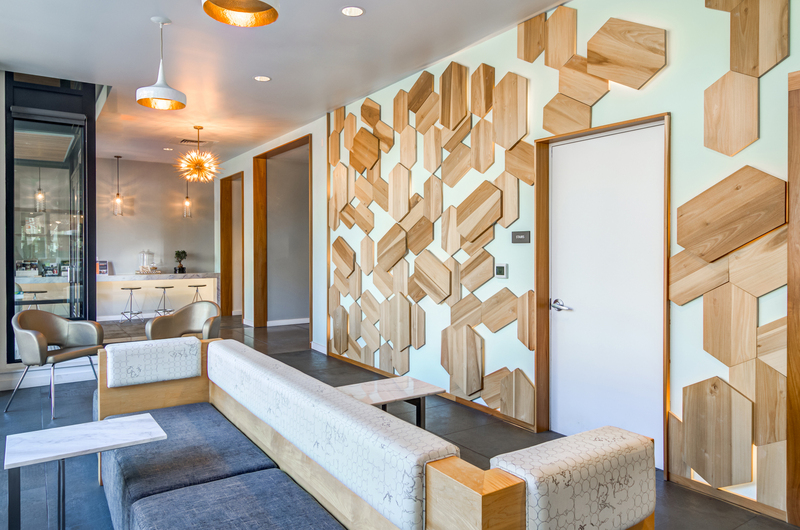 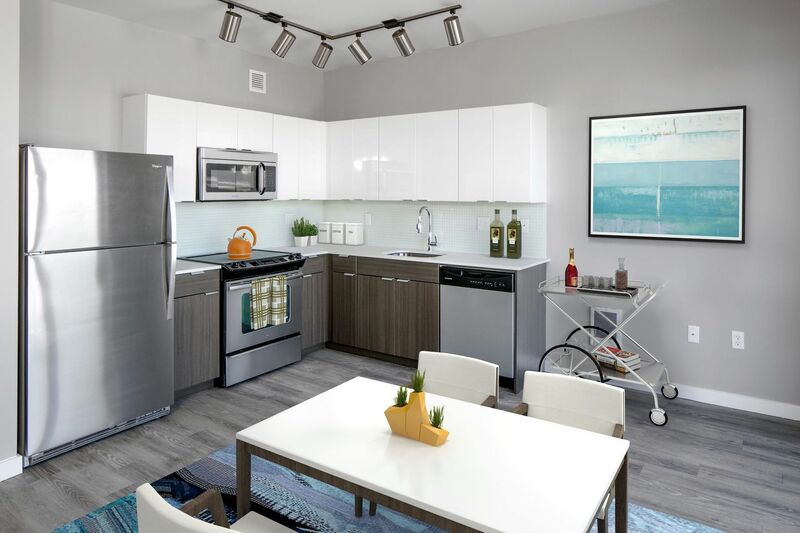 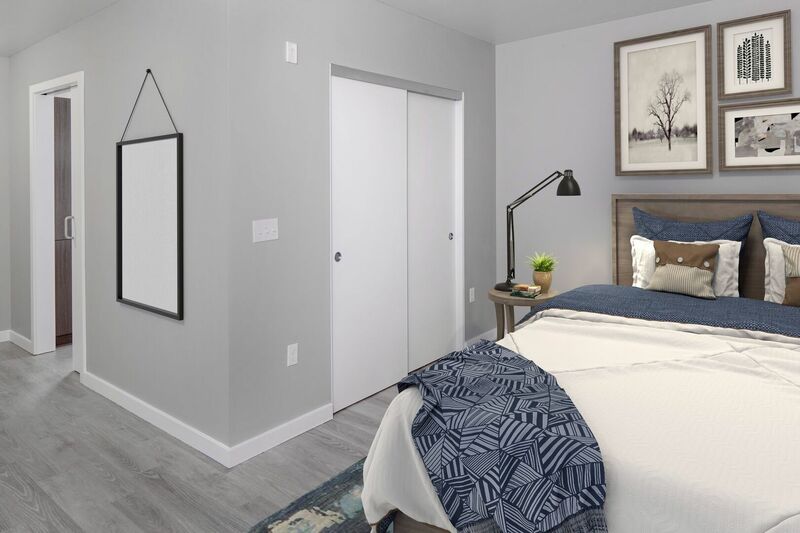 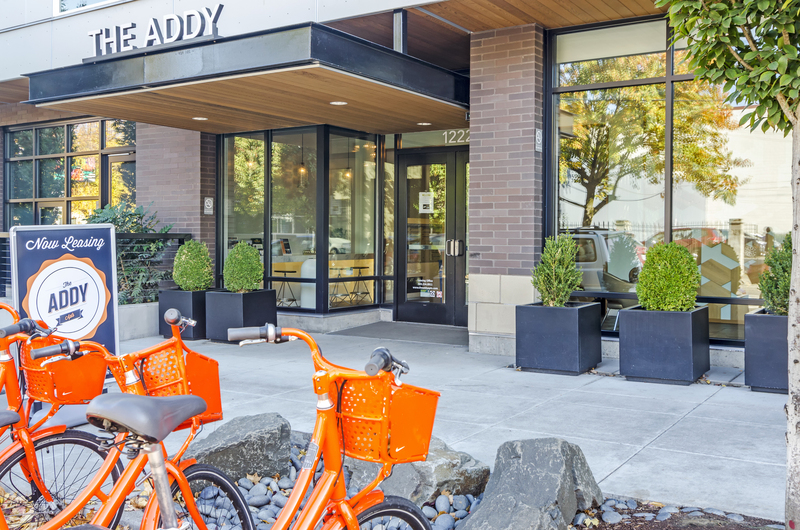 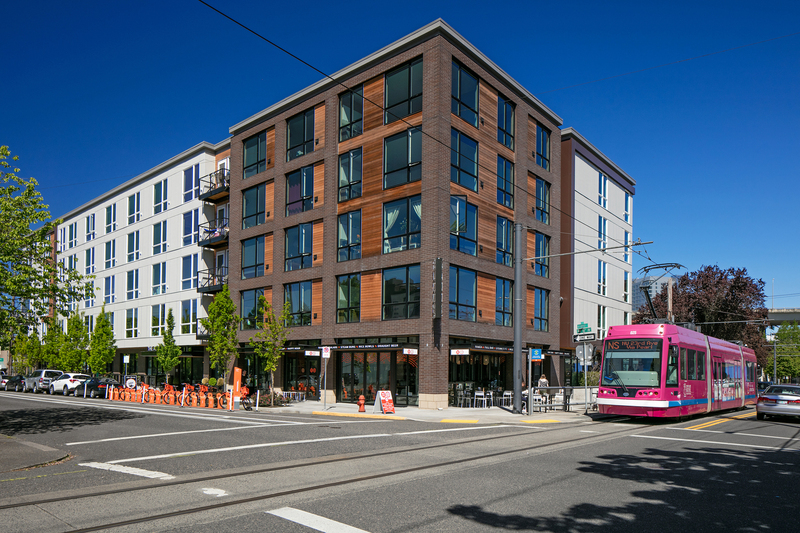 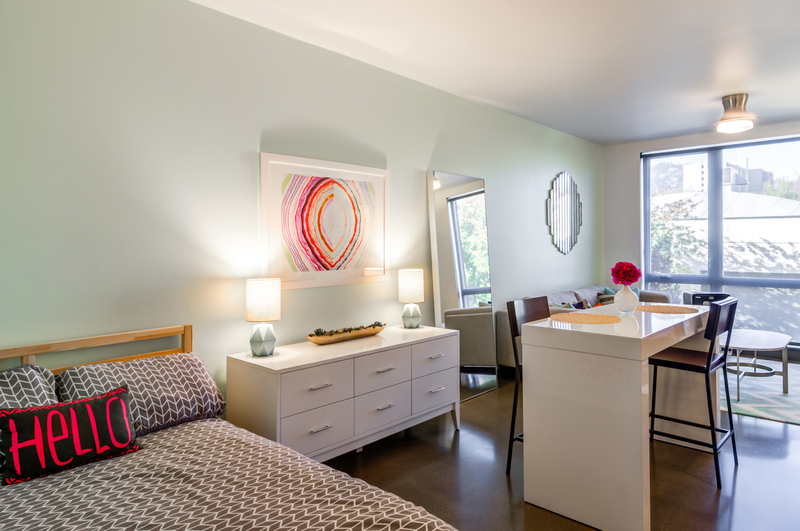 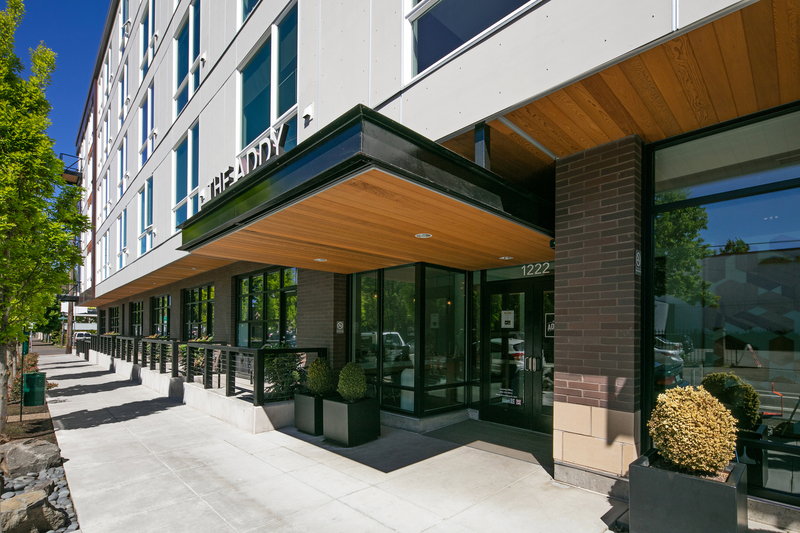 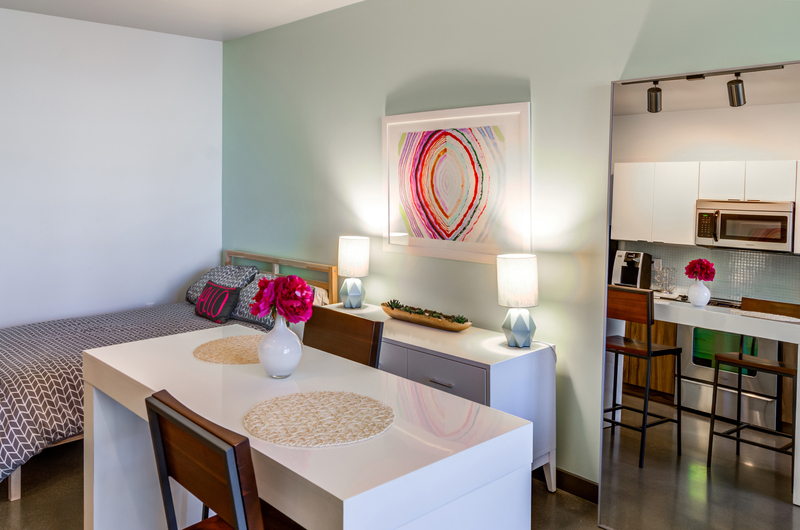 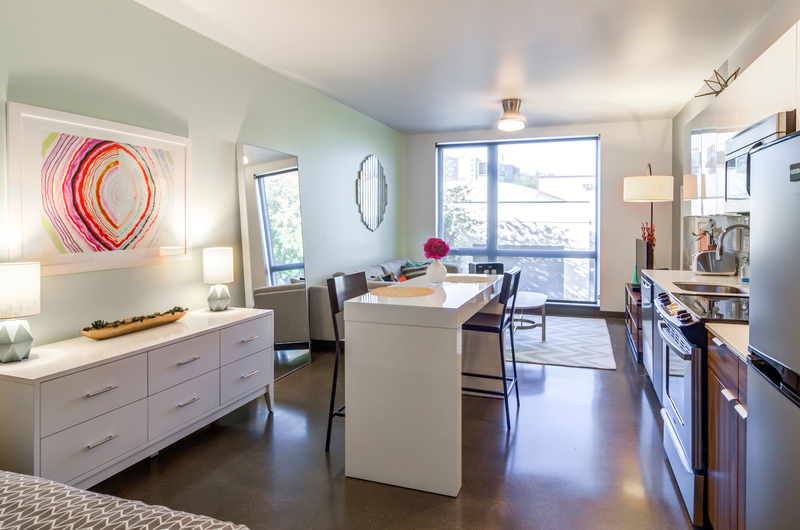 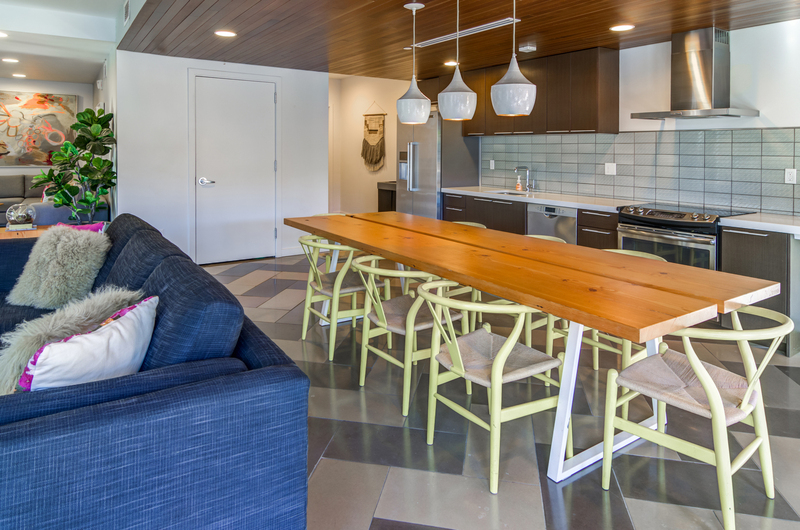 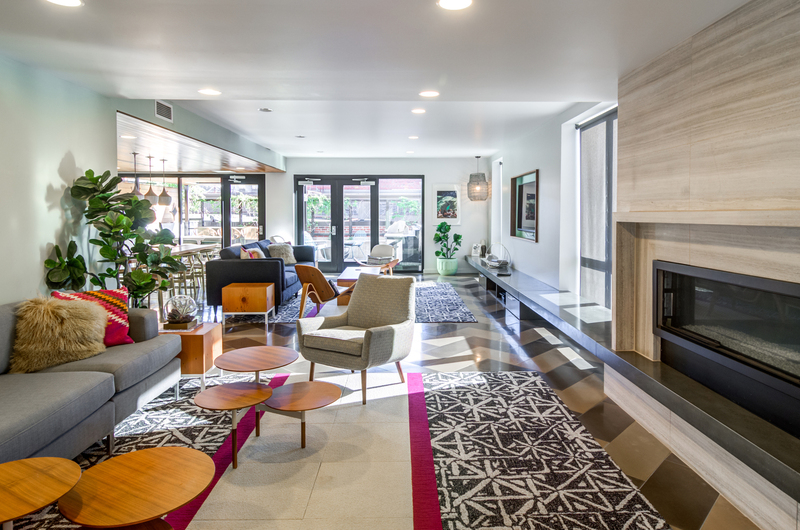 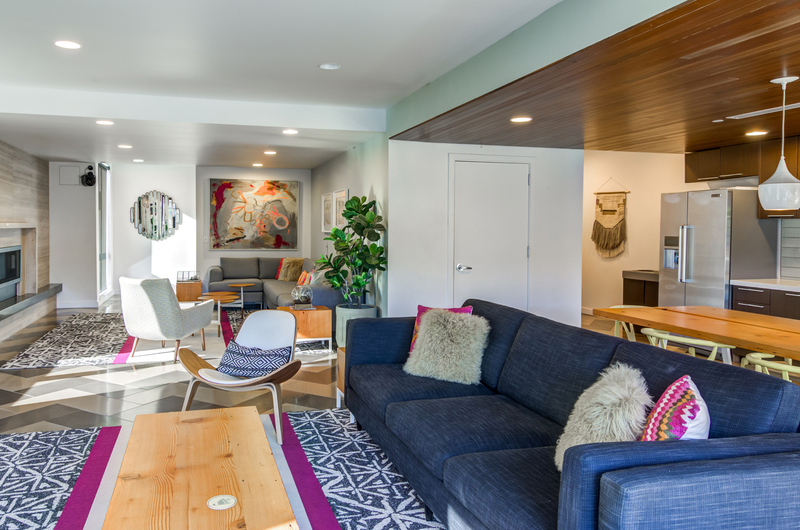 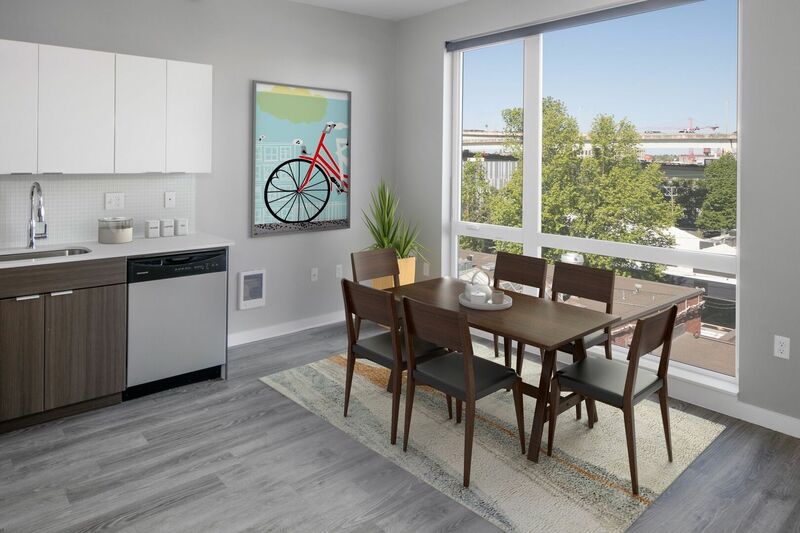 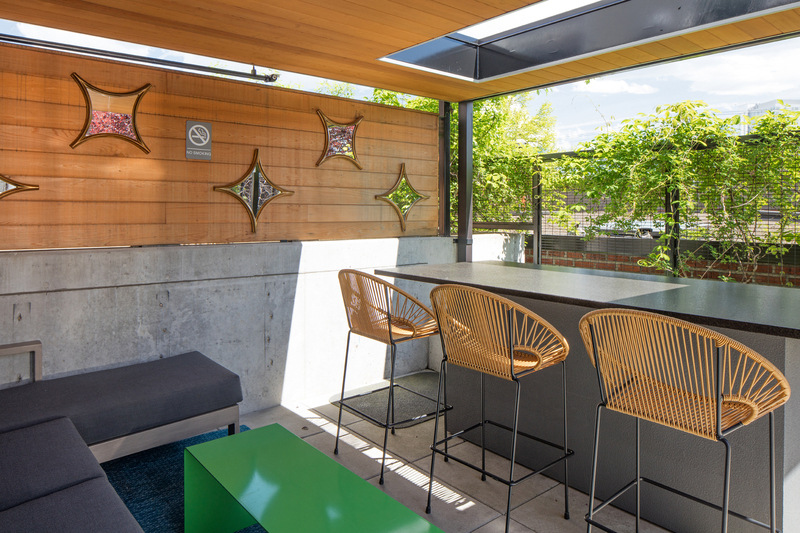 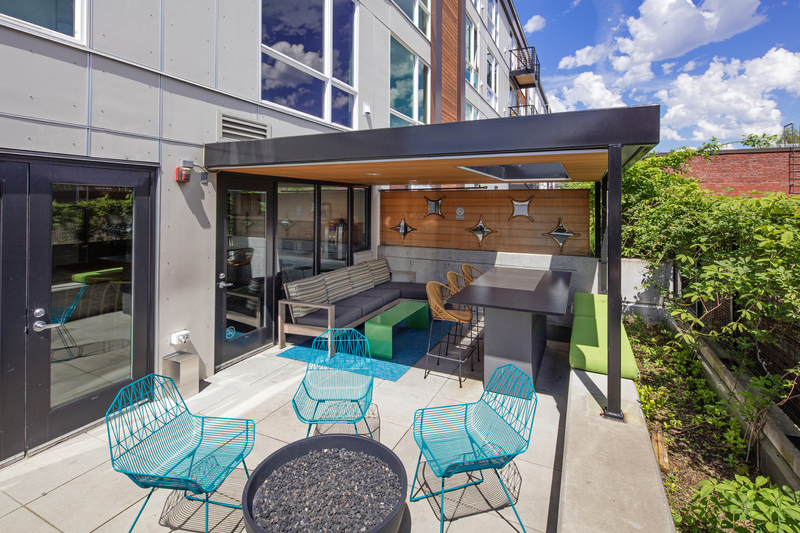 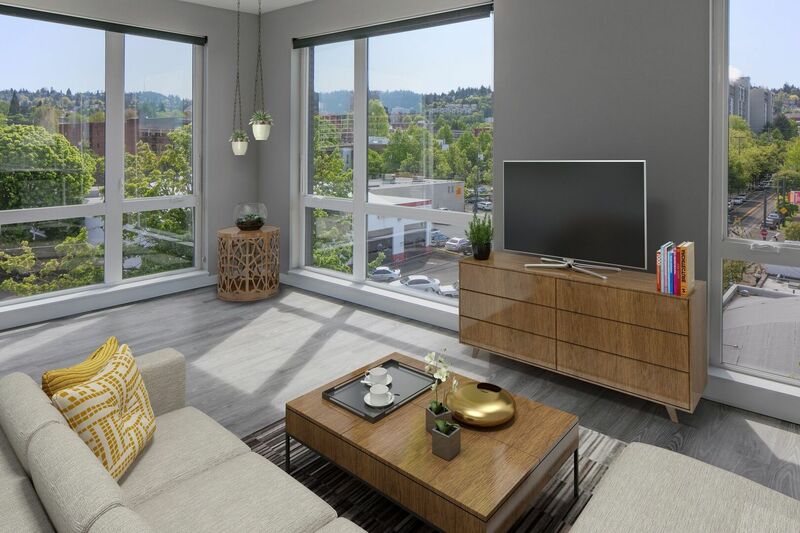 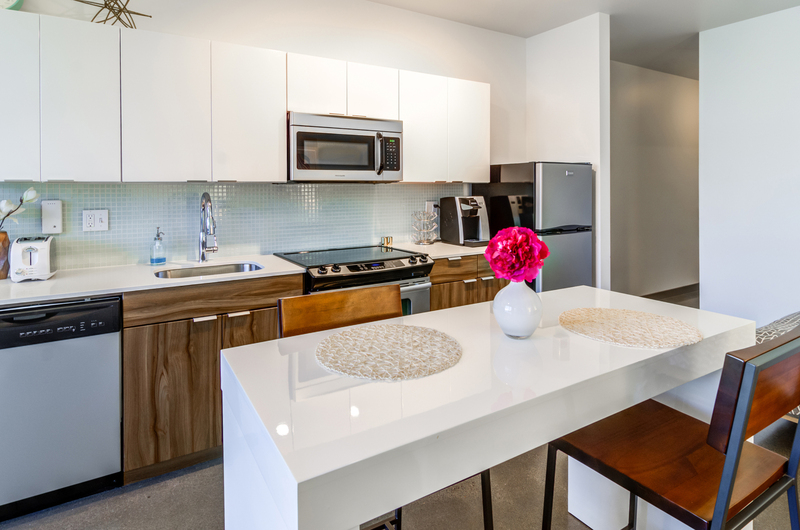 Get a glimpse of the premium features and amenities available when you rent an apartment at The Addy, a premier community in Northwest Portland. 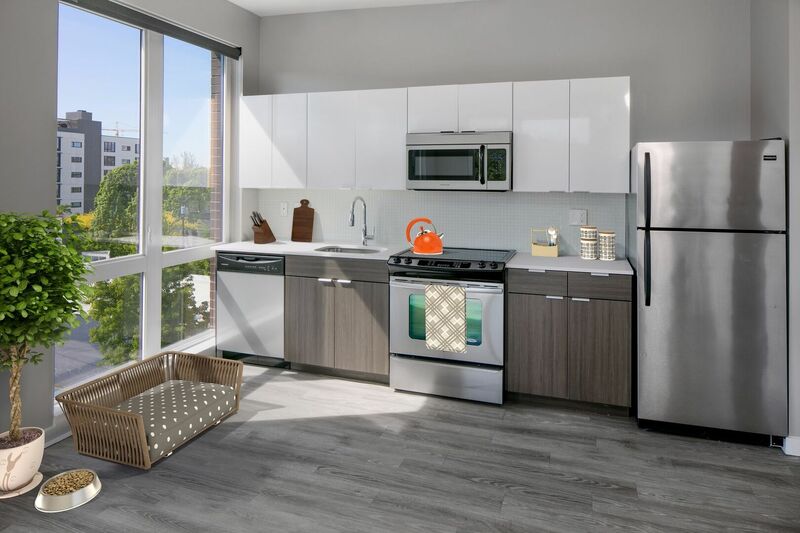 Inside, you’ll have walls with colorful low-VOC paint, easy-to-clean plank floors and shining stainless steel appliances. 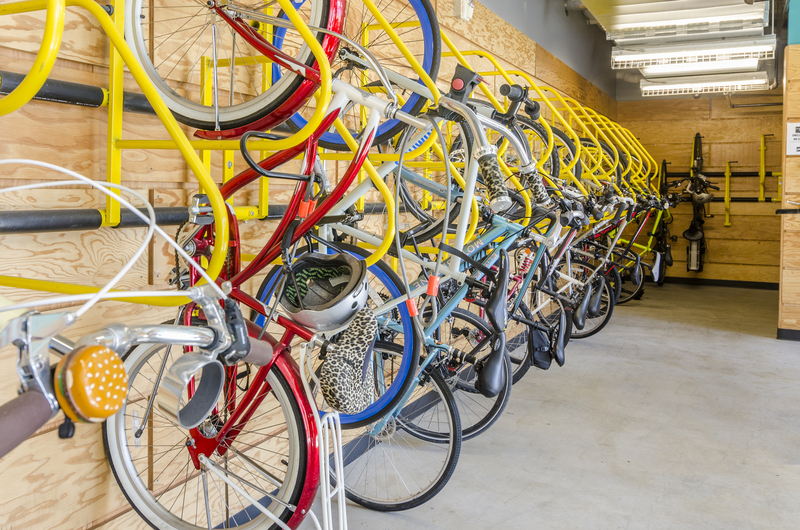 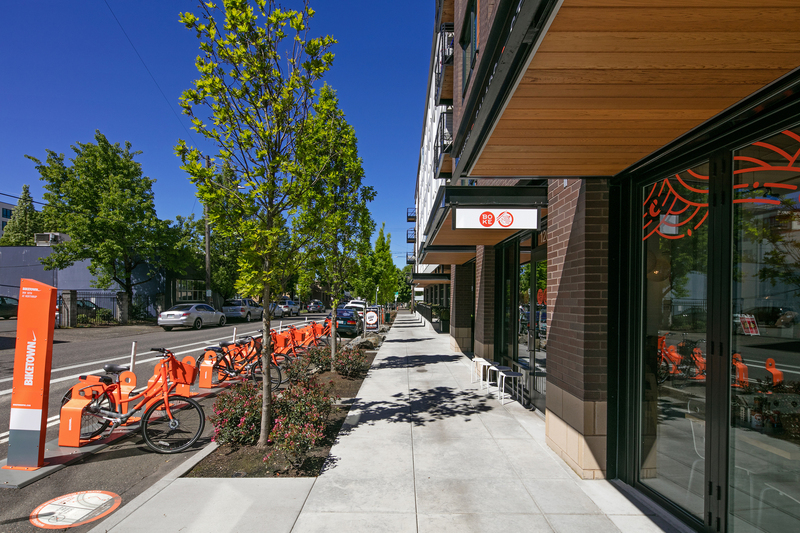 Located in the Alphabet District, the community earns a Walk Score of 94 and a Bike Score of 97. 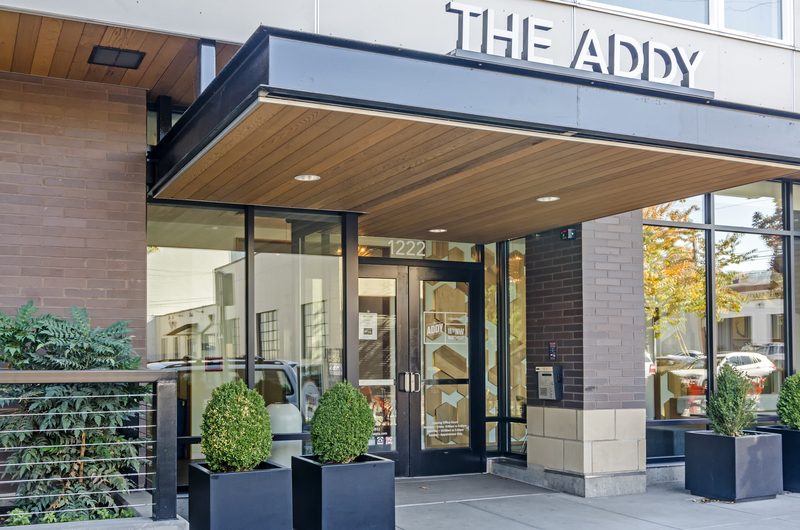 While you’ll be connected to all the city has to offer, the amenities available right within The Addy may entice you to stay home. 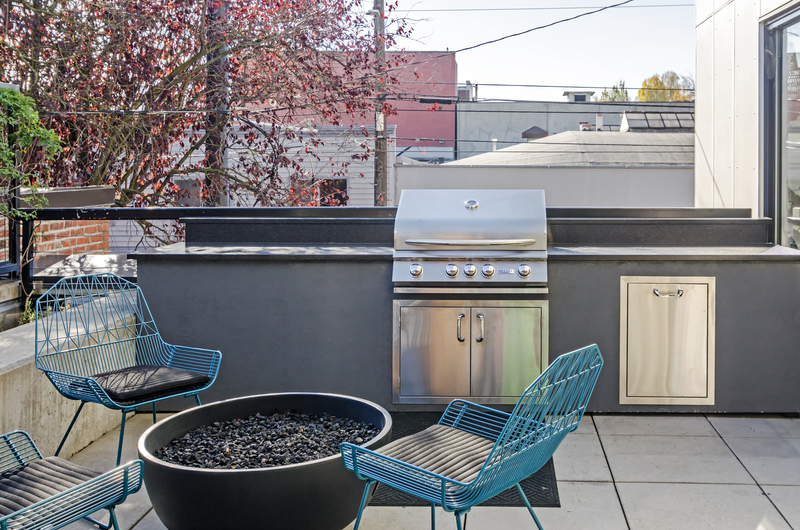 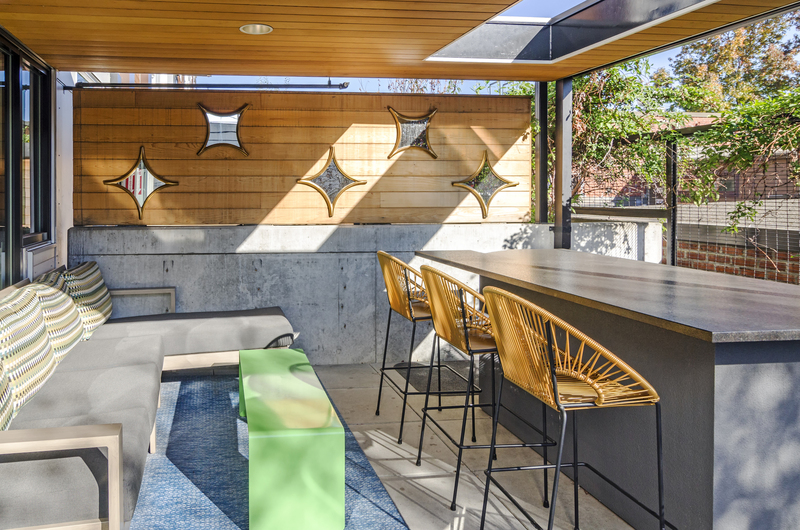 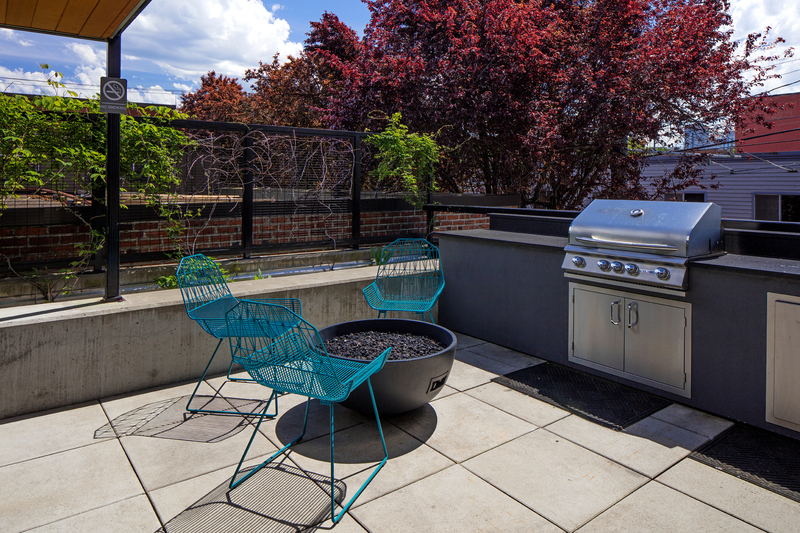 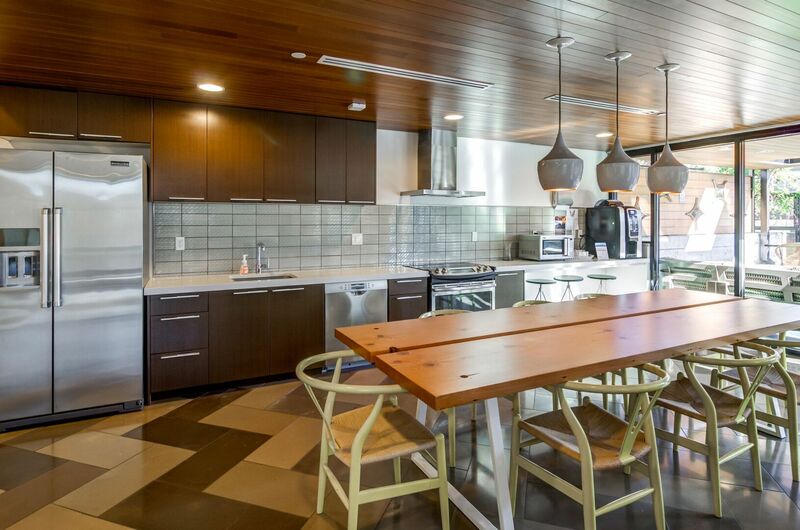 You can hang out with friends on the terrace with barbecue grills or in the lounge with a community kitchen. 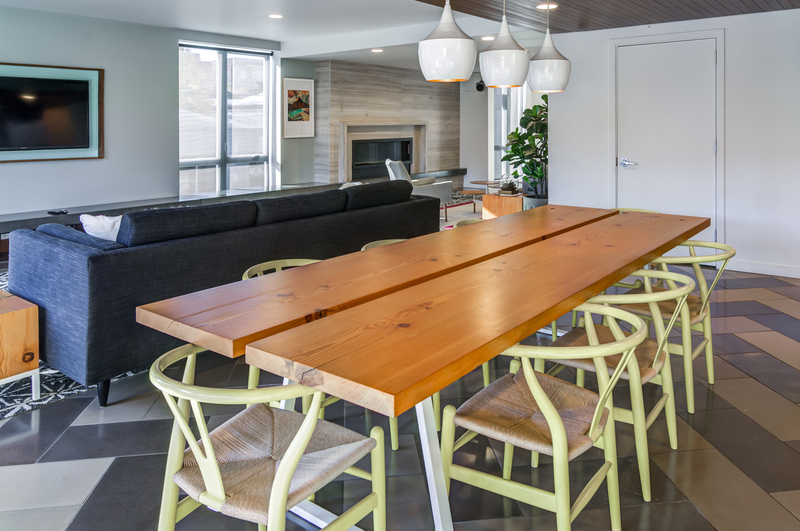 When you don’t want to cook, the community even has a Boke Bowl restaurant.